Effortless and chic; seamless and steamlined. 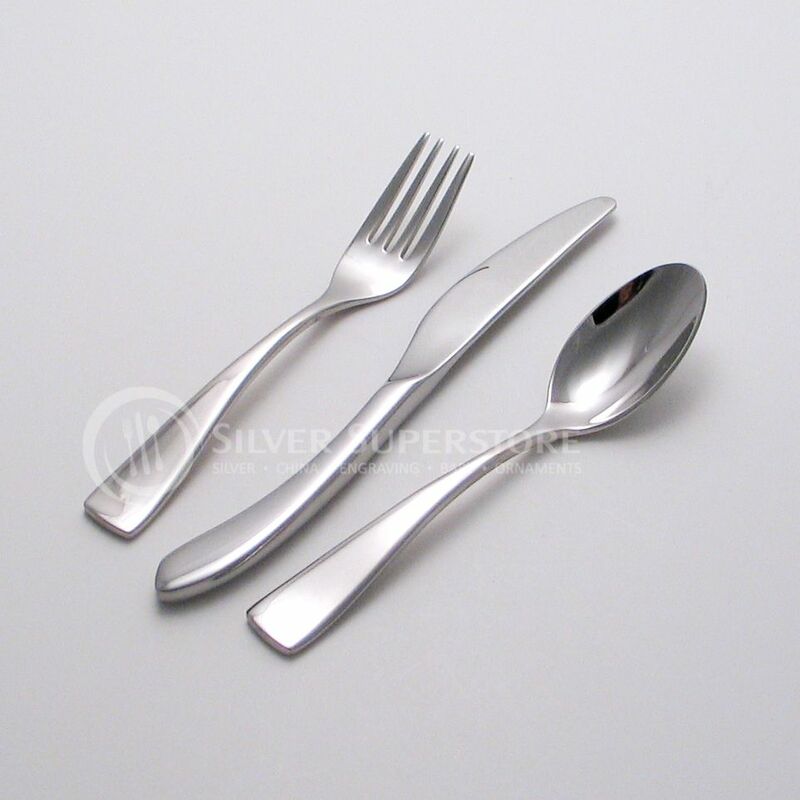 The Oneida Curva flatware pattern is grounded at its flat tip end with rounded corners opening up to a full, aerodynamic silhouette. 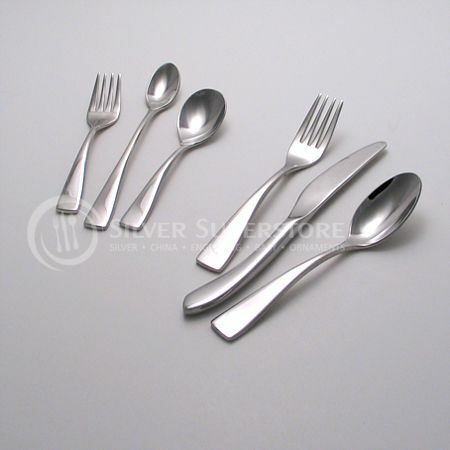 The Curva silverware pattern's handles lend to its comfort and ease of use. 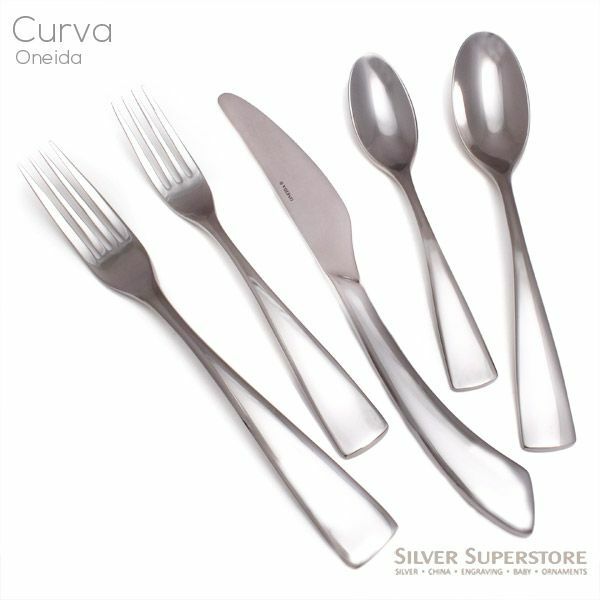 Lengthier and with more heft than other Oneida patterns, Curva has an eye catching ultra-shine. 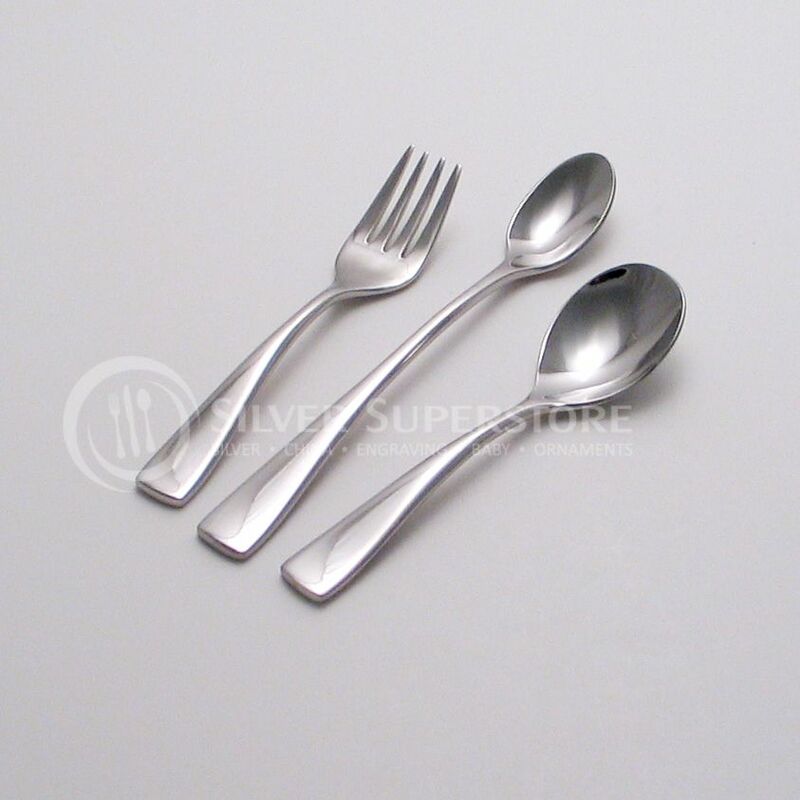 Be sure to view the photo of the 5-pc place setting to see the unique shape of the dinner knife in this pattern.